Ida B. Wells, an iconic African-American journalist, author, and civil rights activist, is the first African-American woman to have a major street in the city of Chicago, Illinois named after her. On February 11, 2019, Chicago officials formally unveiled the street sign bearing Wells' name at the Chicago Public Library. It is now hanging on what was previously the Congress Parkway. "This woman... was not just an inspiration to me, as a Black woman in politics, but one who endured so much so that we could all stand here today in service to our communities," Lt. Gov. Juliana Stratton said at the naming ceremony. "Ida B. Wells spent her life as an activist, and seeking to ensure that women, and Black women, in particular, were not isolated from political movements, despite the racism and sexism we must often contend with, even to this day." Wells, who resided at Bronzeville neighborhood in Chicago, made a significant impact within the community. As a writer, she exposed injustices happening at that time and as an activist, she fought for the equal rights of Black women and Black people in general. Moreover, Wells reportedly operated a settlement house on the South Side that helps African Americans in terms of housing relocation, migration, and other social services. 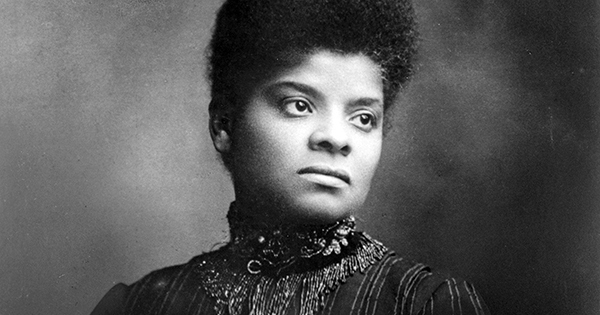 She was also one of the people behind the creation of the National Association for the Advancement of Colored People (NAACP) and the National Association for Colored Women. "She overcame long odds and high obstacles with hard work and eternal hope," Chicago Mayor Rahm Emanuel said at the designation. "Listening to the voiceless and the vulnerable -- that is how she wrote history. Now Chicago will tell her story."